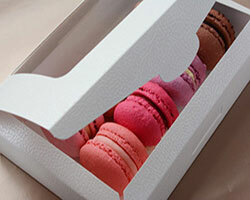 Excellent quality, these ballotins are available in an appealing embossed finishes, in White or Chocolate. 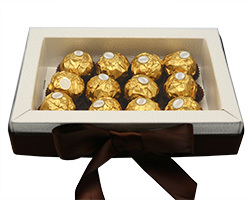 These excellent quality boxes are available in an embossed finish, in White or Chocolate. 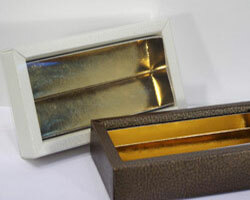 Each box includes a Gold insert, available in two sizes. 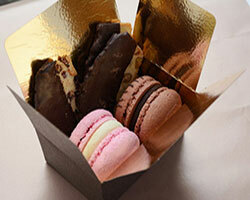 Stylist cake box in a beautiful embossed finish. 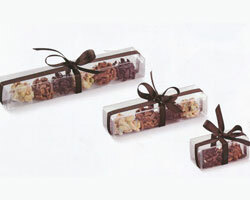 Small clear PVC box, perfect for that special chocolate. 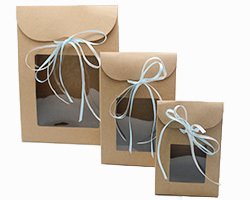 Packaged flat. 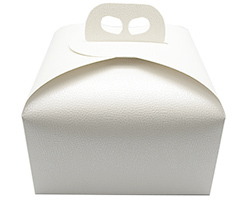 Extremely cute, tortina shaped, PVC box. 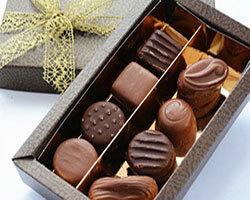 Ideal for that very special chocolate. 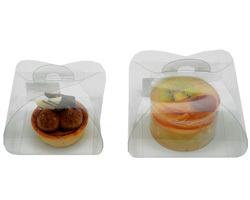 Clear PVC boxes available in small and medium sizes. 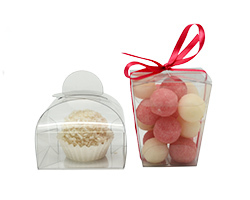 Perfect for cupcakes, macaroons and small biscuits. 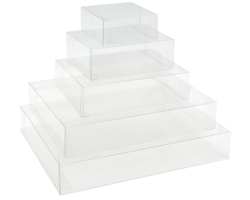 Clear PVC boxes available in four sizes. 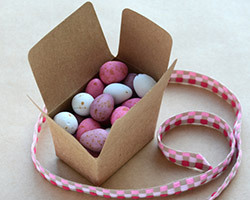 Packaged flat and easy to assemble. 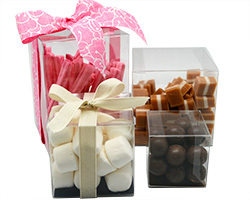 Clear PVC boxes, available in 5 sizes. 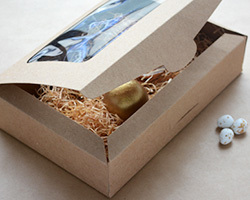 Packaged flat. 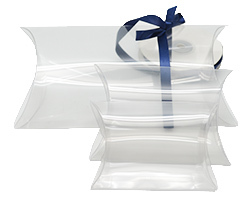 Clear PVC pillow boxes, available in 3 sizes. 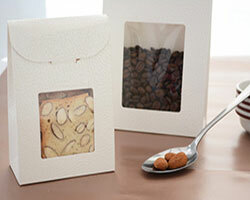 Packaged flat.